50% off holiday cards, buy 2 ornaments get one free, buy one phone case get another for half! 50% off holiday cards, buy 2 ornaments get one free, buy one case get another for half off! Use code BULKSAVING11 during checkout. This is good till October 31, 2011. * 50% of the greeting card, invitation, photo card and postcard product net sale price will be deducted when 50 or more qualifying products are purchased and the coupon code BULKSAVING11 is applied at checkout. 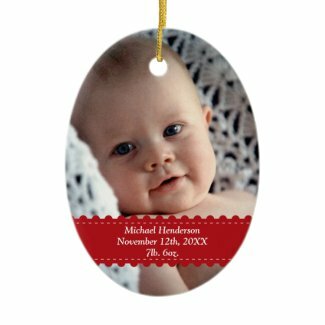 34% of the ornament net sale price will be deducted when 3 or more qualifying products are purchased and the coupon code BULKSAVING11 is applied at checkout. 25% of the case net sale price will be deducted when 2 or more qualifying products are purchased and the coupon code BULKSAVING11 is applied at checkout. Offer is valid until October 31, 2011 at 11:59pm PT. This offer does not apply to past purchases and may not be combined with any other Zazzle promotional or volume discount offers. If a volume discount applies to your order, you will receive either the discount set forth in this offer or the standard volume discount, whichever is greater. Offer valid on Zazzle.com only. Get 50% off all types of holiday greetings! Save on greeting cards, invitations, photo cards and postcards. Use code CARD4HOLIDAY during checkout. This ends Thursday 10/20/2011. 50% of the greeting card, invitation, photo card, or postcard net sale price will be deducted when one or more qualifying products are purchased and the coupon code CARD4HOLIDAY is applied at checkout. The net sale price is the price of the product (excluding shipping and taxes). Offer is valid through October 20, 2011 at 11:59pm PT. This promotional offer does not apply to past purchases and may not be combined with any other Zazzle promotional or volume discount offers. If a volume discount applies to your order, you will receive either the discount set forth in this offer or the standard volume discount, whichever is greater. Offer valid on Zazzle.com only. 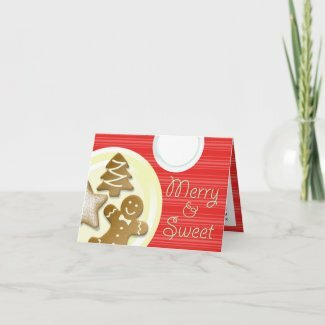 50% Off Holiday Cards and Free Shipping! If you missed previous discount on greeting cards, don't fret. You can still enjoy 50% Off Holiday Cards and Free Shipping! Use code: CARDFREESHIP when you checkout. This offer expires 12/08/2010. 50% of the card, postcard, photo card, and/or invitation net sale price will be deducted when one or more qualifying card, postcard, photo card, and/or invitation items are purchased. To qualify for the free shipping offer, one or more Zazzle card, postcard, photo card, and/or invitation items must be purchased and standard shipping must be selected as the shipping option. The coupon code CARDFREESHIP must be entered during checkout to receive the offer. The net sale price is the price of the product (excluding shipping and taxes). The free shipping offer is for standard shipping to U.S. addresses only. Shipping charges will apply to oversized orders and orders being shipped on an expedited basis or outside the U.S. Offer is valid through December 8, 2010 at 11:59 PM PT. This offer does not apply to past purchases and may not be combined with any other Zazzle promotional or volume discount offers. If a volume discount applies to your order, you will receive either the discount set forth in this offer or the standard volume discount, whichever is greater. Offer valid on Zazzle.com only. This is the big one guys! Get 45% off all printed greeting cards, photo cards, postcards and invitations if you purchase 1-49 cards. Beyond that quantity (50+ count) you get 75% off. Use code HLDYGREETNGS during checkout. This offer will end at midnight on November 23, 2010. 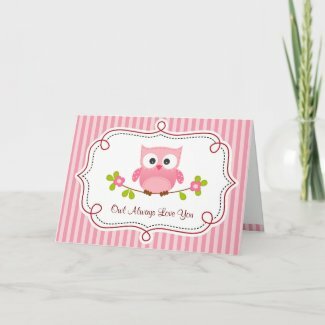 * 45% of the Greeting Card, Note Card, Photo Card, Postcard, and Invitation net sale price will be deducted when 49 or less qualifying Greeting Cards, Note Cards, Photo Cards, Postcards, and/or invitations are purchased and the coupon code HLDYGREETNGS is applied at checkout. The net sale price is the price of the product (excluding shipping and taxes). Offer is valid from November 22, 2010 12:00am PT through November 23 , 2010 at 11:59pm PT. This offer does not apply to past purchases and may not be combined with any other Zazzle promotional or volume discount offers. If a volume discount applies to your order, you will receive either the discount set forth in this offer or the standard volume discount, whichever is greater. Offer valid on Zazzle.com only. * 75% of the Greeting Card, Note Card, Photo Card, Postcard, and invitation net sale price will be deducted when 50 or more qualifying Greeting Cards, Note Cards, Photo Cards, Postcards, and/or invitations are purchased and the coupon code HLDYGREETNGS is applied at checkout. The net sale price is the price of the product (excluding shipping and taxes). Offer is valid from November 22, 2010 12:00am PT through November 23 , 2010 at 11:59pm PT. This offer does not apply to past purchases and may not be combined with any other Zazzle promotional or volume discount offers. If a volume discount applies to your order, you will receive either the discount set forth in this offer or the standard volume discount, whichever is greater. Offer valid on Zazzle.com only.